The city of Taj located in the state of Uttar Pradesh is a place to be in for some exceptional Mughal architecture. 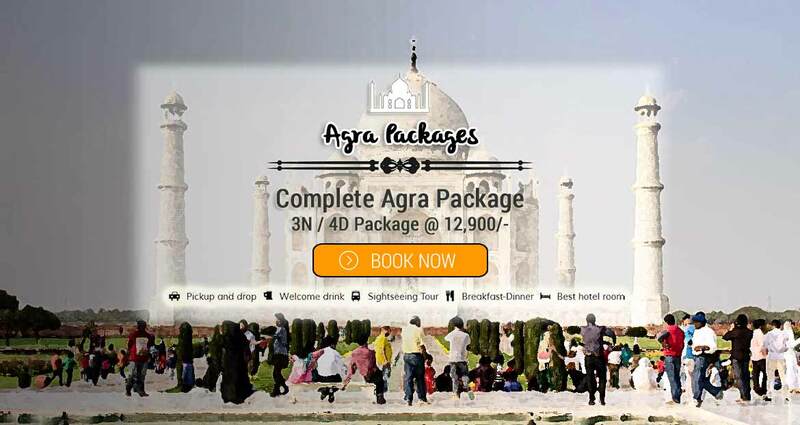 Agra is a place which can be a dream come true destination for you. The city speaks a lot about the Mughal Dominance. The combination Delhi, Agra, Jaipur makes it a Golden Triangle Tour. This Golden Tour attracts zillion of tourists from all across the globe. A three day tour will cover up all the places in Agra which are worth a visit. The list includes the incredible Taj Mahal, Fatehpur Sikri, Akbar’s Tomb, and Itmad-Ud-Daulah Tomb etc. These are the places which should be visited in Agra. Starting your memorable trip with the place which needs no description. Taj Mahal is one of the Seven Wonders of the World and one more fact adds to it is the most photographed monument in the world. The three places Taj Mahal, Agra Fort and Fatehpur Sikri is a UNESCO World Heritage Site. Fatehpur Sikri is a city which is around 1 hour drive from Agra. The place is known also as the City of Ghosts. Agra fort is a wonderful fort you just cannot afford to miss. The fort is made from Red Sand Stone. The best time to witness these sublime places in Agra is in the winter season. The place is jam packed with tourists from across the globe. The weather is quite pleasant in the winter season. 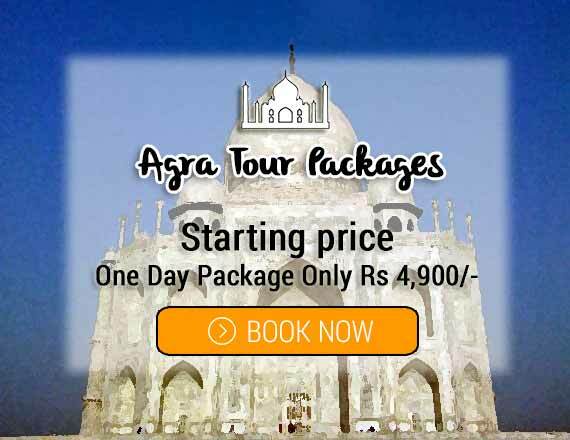 Agra Tourism Package is a must package for people to witness the great architecture of Mughals. You can just guzzle upon some Mughlai Cuisine in the city of Taj. So people what are you waiting for? Pack up your bags and explore some eye popping Mughal architecture which could please your eyes and make your trip a memorable one. The Golden Triangle Tour is one of the most famous tours among the tourists. The Golden Triangle Tour has an ancient Indian touch to it. The tour helps you to visit the some of the very important cities which played an important role in the past. The itinerary has been prepared keeping in mind the places to visit in Agra. Agra is a wonderful place to be in. The city of Taj has So much of Mughal feel to it. Agra gives you a full to proof of the top hole skills that the Mughals possessed. Day 1– After having your breakfast you will be picked up from Delhi. Delhi to Agra is around 240 kilometers. The roads from Delhi to Agra are excellent. In the afternoon you will be reaching Agra. You will be dropped to your Hotel. Take rest refresh yourselves. Then in the evening you will visit the most photographed monument in the world The Taj Mahal. The scenes are just sublime of Taj Mahal in the dusk. You will wish to gaze it all day long. After having a look at the Taj Mahal you will head back to your Hotel. Sleep early in the night because it would be an early rise for you. Day 2– After having some light breakfast early morning. You will be visitng the Taj Mahal. The Gates are opened at 6 in the morning. The scenes of Taj Mahal in the morning are eye popping. After pleasing your eyes for a long time. You will head to the next destination i.e. Agra Fort. Fort is made of red sand stone and is a UNESCO World Heritage Site. Then after having a look at the wonderful Agra Fort. You will be seeing the Akbar’s Tomb and Itmad-Ud-Daulah Tomb. This will bring an end to the second day. Be ready to visit the city of Ghosts next day. Day 3– After having your morning meal you will go to Fatehpur Sikri. It is around 1 hour drive from Agra. There are so many places to visit in Fatehpur Sikri. You will start your sight seeing from Buland Darwaza. Then after that you will be visitng a couple of places which would include Diwan-I-KHAS, Jodhabai Palace, Tomb of Sheikh Salim Chisti, Jama Masjid, and Panch Mahal etc. These are some very popular places in Fatehpur Sikri. After visitng these places you will briefed about the dexterous Mughals. It will be a tiring day for you as you will be visiting so many places. After having seeing these places you will be dropped back to your Hotels. This will bring an end to your wonderful 3 day tour which you will mesmerize life long. Day 4– After having your breakfast you will be dropped back to the capital city at the station/airport.